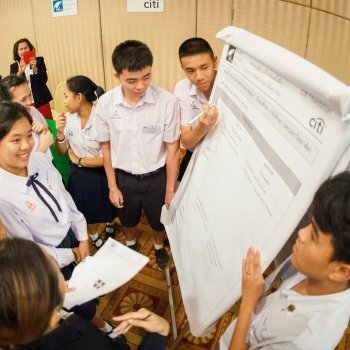 The Citi Literacy Improvements for better Finance in Thailand (LIFT) project is a comprehensive, three year approach to help focus government policies on reducing Thailand’s household debt, which has risen significantly in recent years. Through the project, Citi and Kenan work with stakeholders from the private sector, the Government, and academia to empower households by developing their financial management skills. During 2015, Citi LIFT focused on strengthening the existing financial literacy coalition, further engaging stakeholders, and promoting key policy changes. This work builds off the first two years of the project, which worked to develop recommendations for improving Thailand’s financial literacy, and present those policy options to key decision-makers, stakeholders, and government leaders, as well as produce a comprehensive research study to foster changes in financial literacy policy and service delivery. To date, Citi LIFT has conducted over 50 in-depth stakeholder interviews and 9 stakeholder meetings with a total of 122 organizations.